The termination of relationships and ancillary matters, including Divorce, Divorce Mediation, Annulment, Property Settlements, Alimony, Child Custody and Visitation, Child Support and Alimony Awards. Family Law is not all about conflict resolution. Family Protection Planning is “Life Planning” for happy, healthy families. 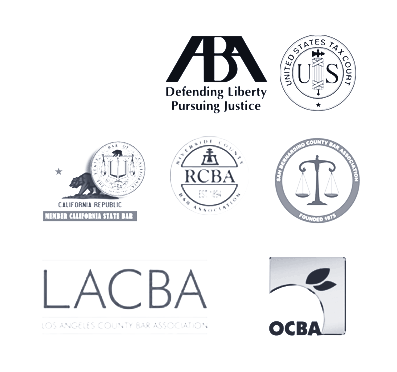 For years much of our law practice has been devoted to protecting the financial health security of Los Angeles Families. Wills, trusts and health care directives (living wills) are all family tools for proper protection of what you have and what you will earn over your lifetime. These legal tools permit you to control where your assets will go upon your death. It is a pleasure to help local Los Angeles area residents with their all-important Estate Planning concerns. A wills and trusts attorney from The Law Offices of Vincent W. Davis and Associates handles a wide range of legal services from Wills, Trusts and Probate matters for clients throughout Los Angeles California. If you are young and just starting out in life and do not have an “estate” to protect, you can still benefit from a healthcare directive that designates someone to make decisions for you if you are unable to do so. A healthcare directive advises your family of your wishes for medical care. If you have a young family with children , it is imperative to plan for the care of your children should you and your spouse die or become unable to care for them. Naming a preference for a guardian can easily be done in a simple will or trust. The retirement years, legally designating who your estate goes to and how they receive your assets will carry out your wishes and help make the most out of the assets that you leave your loved ones. Long term care planning – Finally, when planning your retirement years, it is an important time to consider your long-term care planning, to communicate your wishes regarding end-of-life care, and to designate powers of attorney for healthcare decisions and for financial management. Review and Modification of Your Current Estate Plan – For those who currently have estate plans in place – if you or your family have recently experienced a change in circumstances — perhaps the birth of a child, a death in the family, or a divorce, this is a good time to review and possibly revise your estate plan to address your new life situation. We are here to assist you in updating your current legal documents to ensure that they are both adequate and enforceable. Our Family Law Attorneys can help you with Family Law, Divorce Mediation, Child Custody Matters, Family Law Matters, Alimony and Spousal Support, Domestic Violence, Property Settlements, Property Division, Paternity, Child Support, Family Wills, Trusts and Probate, and much more..